Steve and Debbie plan ahead. Their April, 2014 trip came as a result of their meeting us in Chicago at the January, 2013 Travel and Adventure Show. Now they have just locked in their April-May, 2016 trip to Germany and Austria. We will be visiting Berlin, Dresden, Rothenburg, Nürnberg, Berchtesgaden and Salzburg and the Rhein River Valley with Bacharach. For the Trip of a Lifetime – it is never too early to start planning. Then you have the fun of thinking about the trip as the calendar pages float on by. 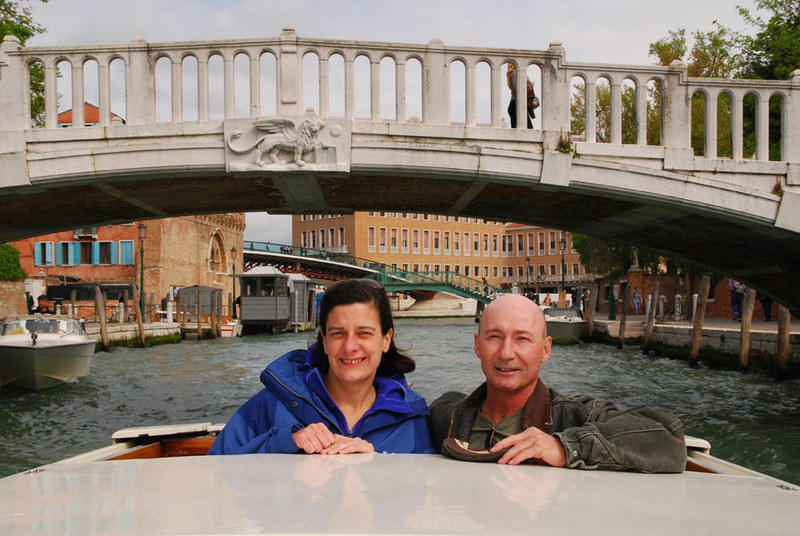 Steve and Debbie arrived in style to their Venice, Italy hotel via private water taxi soon after landing from Chicago this past April. Now they have their sights set on Deutschland, brats, great beer and alpine majesty plus the little back roads that we know and love. Their trip for spring, 2016 is already reserved. Posted in Germany Tours and tagged 2016, custom, designed, germany, private, tours.